We recommend every fan of the Star Wars movie series to download this interesting map. 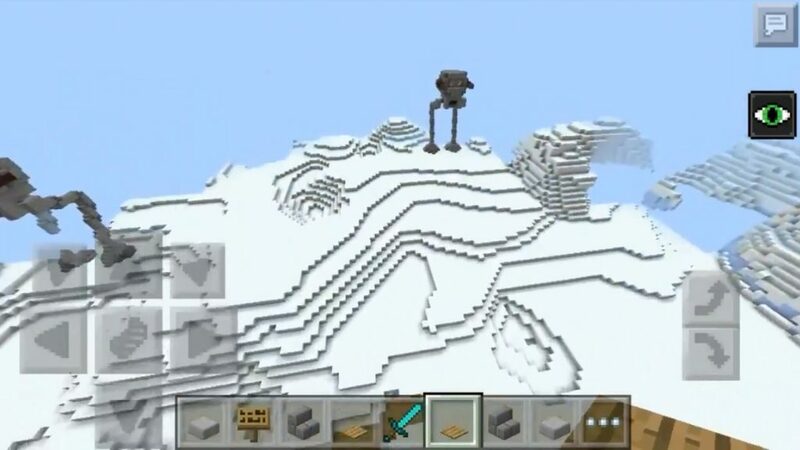 Epic Star Wars Battle for Minecraft PE 0.14.0 recreates the battle, which hosted the huge robots attacking the base. They are very detailed. It is evident how one of them is already hit and begins to fall apart before our very eyes. Moving robots towards the gates behind which there is a hangar with starships. In the hangar everything is also well detailed. There are several small spaceships and one big one. Everything is well thought out and repeats the outlines of those objects that were present in the original film. 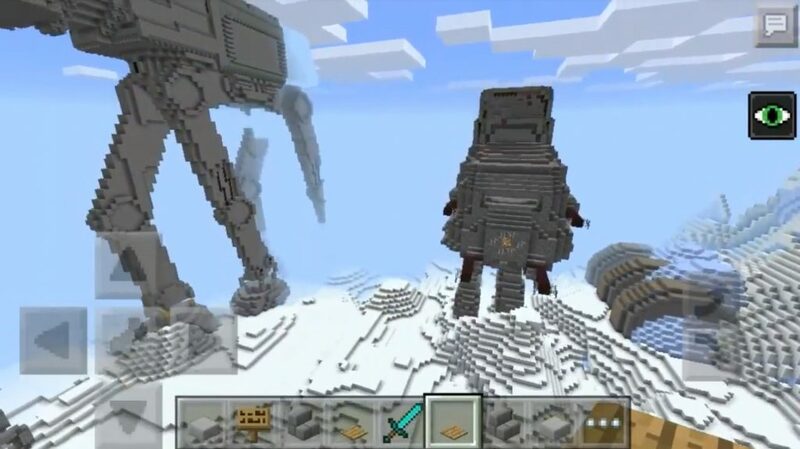 Initially, the Star Wars Battle map was drawn for the desktop version of Maincraft, but since it was a huge success, it was decided to port it for Minecraft PE 0.14.0 and it turned out very well. The location is very large. Everything really looks epic and pompous. Many elements are well thought out and wander through this map will be very exciting. There are many different details, various turrets, specific markings, lights and other elements that make the map alive and come here. It seems that the action literally stopped a second before your appearance and you are given the opportunity to see what is happening here during the battle. The Battle of Star Wars map is installed quite simply. For this we download the archive from our website. 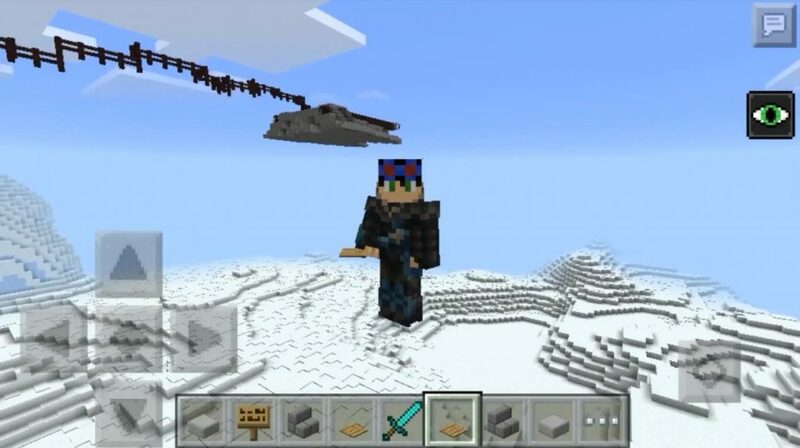 We go to Minecraft PE 0.14.0, select the item Play and our map accordingly. Next, the game will start and present you a wonderful huge location.